Camberley Glass and Windows will undertake all your replacement window needs speedily and efficiently, with a competitive price too. Our work is of the highest quality whether it be the installation of a cat flap in a double glazed door or a complete refurbishment of all the windows in a house. Our company has worked in the Chertsey area for nearly 50 years and built up a formidable reputation for professional results, attention to detail and customer care. We began as a group of family run businesses in 1965 and have now branched out into all types of glass supply and glazing solutions. However we retain our belief that service to the customer is the prime concern. Our testimonial page reflects this as does our high ratings on the criteria on Checkatrade. We are also on the Buckinghamshire and Surrey Trading Standards Approved list of traders. We have a large range of products; our windows are available in different styles, materials, textures and finishes and we can match window furniture and dimensions of windows to any type or size you wish. 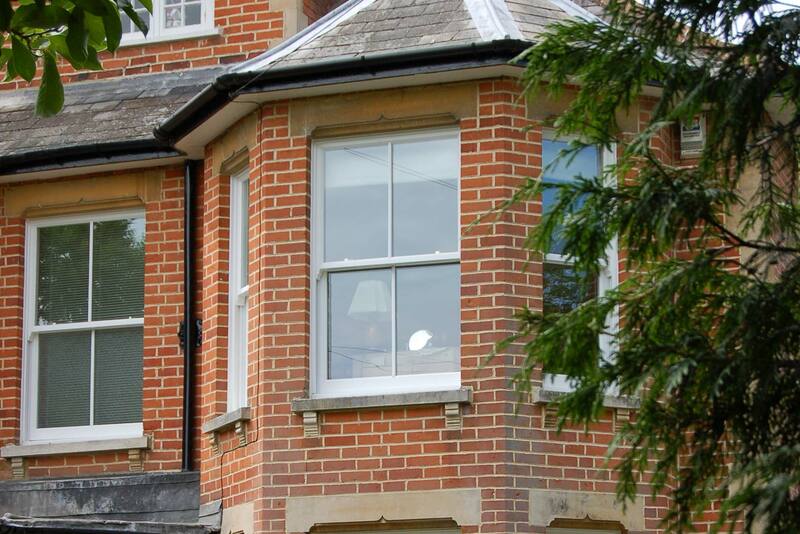 The windows we supply meet the highest standards for reliability, security and energy conservation. In addition all our double glazing and glass installations are backed with a fully insured guarantee. Whatever your needs in replacement windows we can supply and fit. Why not visit our showroom at our offices in Camberley, Surrey and look for yourself. Our staff, who are fully qualified and FENSA registered would be happy to help you with advice and answer any questions you have.